Looking for something a bit different to make your event stand out from the crowd? We are a family run business with great service at the top of our priorities! With bacon/ jumbo sausage rolls, burgers, chips, hot & cold drinks, freshly prepared baguettes and lots lots more. Small, strong contact equipment, training ramps, running contact trainer, wobble boards, platforms and perches. High quality caravan servicing & trailer repair, based in Thame, Oxon. Excellent facilities and polite and efficient service at a competitive price. Quality windbreaks, draught skirt and pet enclosures. Tough aluminium poles and durable PVC waterproof material. All systems come with unique top bracing. 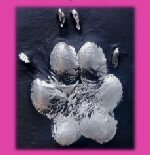 Recommended by top dog trainers and KC(H) Reg compliant, there is no better ID method available! Dog-friendly, luxury self-catering cottages in North Cornwall. High quality dog agility tunnels, handmade using heavy duty fire resistant PVC materials. Custom-made sun reflective covers for most makes of cars and vans. A veterinary referral clinic offering laser therapy, hydro-pool and hydro-treadmill treatment in S. Yorkshire. Unique quality products for active dogs and handlers! Specialising in the hiring out of high quality timing equipment for dog agility competitions. Fun, creative & strong dog toys and a selection of tuggy and slip leads great for agility training. Voted as best place to holiday with dogs in the UK! 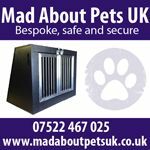 Manufacturers of high quality dog transit boxes to fit any vehicle. Special A4 calendars, featuring different breeds and obstacles. Give as a gift or treat yourself. Suppliers of quality agility equipment for hire, manufactured to the highest quality. The automatic ball launcher for dogs. Fetch just got much more fun! Dog friendly B&B located at foot of Black Mountains. Use of 2 acre field. Breakfast included. Stylish, ultra-comfortable, 100% fit for purpose and built to last. Delight in every bite, M & B Catering as your chosen food supplier. Guaranteed prices from last year. Van conversions for grooming, dog walking and transportation and dog inspired camper conversions. Also Hydrobaths and grooming products. Flexitags are personalised engraved tags attached to durable silicone bands which are perfect for competing in Agility. Available in many colours including black. Dog friendly B&B in South Wiltshire. 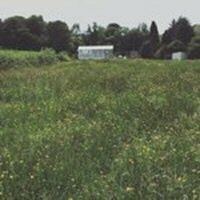 Large field with agility equipment & early starter breakfast available.